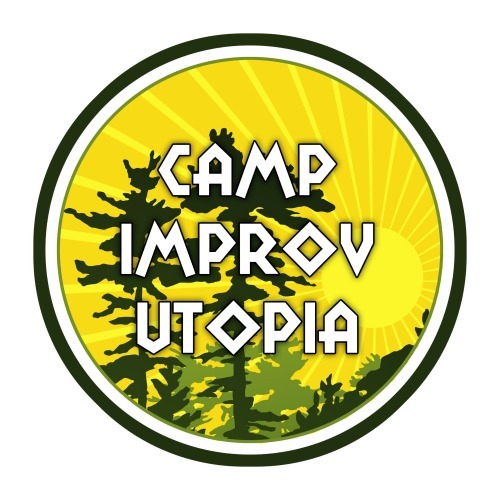 A couple weeks ago I went to Camp Improv Utopia to be a counselor at the three-day improvisation intensive set up by Nick Armstrong and his Improv Utopia accomplices. It’s a fantastic gathering of improvisors from around (mostly) the western US, though its reach is starting to grow with the National Improv Network, which has sprung from connections made at camp. It was there we showed the first semi-public sneak preview of our trailer to a non-Committee audience. I have to admit, I found myself pretty nervous in front of what was likely to be the most supportive audience possible for the project. I swam around in my words for a good minute before I got to the goods and delivered the premise and showed the trailer to a really warm reception of applause and cheers from everyone there in the dining hall. 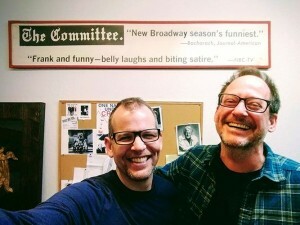 When I thought of it later, I realized it was the responsibility I felt to all these people who I have so much respect for to tell the story in the best & most truthful way possible – from the teachers, fellow performers, festival producers, and theater owners present from across the US to the members of The Committee not in attendance. I’ve made hundreds of short films, but this is our first feature-length documentary. I’m taking that nervousness as a reminder to get it right – I think we have a good start…!